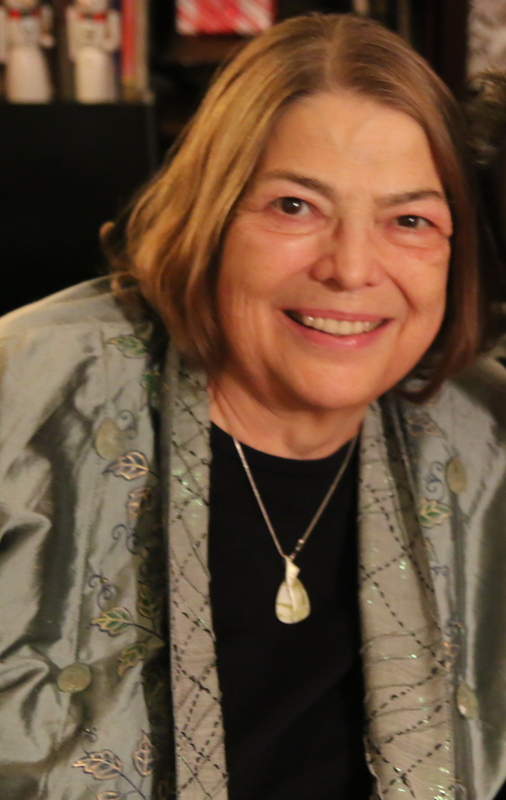 For Peter Pan on her 70th birthday by Sarah Ruhl is sponsored by Dan and Claudia Cyganowski and dedicated to the memory of Carol Cyganowski to honor her long-time support of Chicago Theater and women playwrights. Carol was an energetic scholar and beloved teacher. She spent most of her career at DePaul University (from 1983 to her retirement in 2014), where she served as Director of the American Studies Program (1996-2002) and Director of the Women’s Studies Program (1990-93 and 1994-95) as well as originating over 20 new courses (from American Political Drama to Civil War Literature to American Women’s Drama). As Director, she revitalized the American Studies Program by planning and producing Theme Quarters—on topics including “Chicago Theatre”, “Pursuits of Happiness”, and “Idealism in America”—that included public performances, lectures, films, panels, readings, and exhibits. A dedicated and passionate teacher, Carol was nominated for DePaul Excellence in Teaching Awards every year from 1997-2000. She was particularly honored to have received a student-awarded honorary membership in the Golden Key International Honour Society (2002). Carol was both a scholar of and an enthusiastic supporter of Chicago theatre, from established “giants” downtown to small storefront theatres. At DePaul, she established the Chicago Playwrights manuscript collection at the Richardson Library (part of the Arts Community Archives within the Library’s Special Collections) and developed and taught a course on Chicago Theatre (bringing local artists, playwrites, and directors into the classroom). In retirement, she supported many Chicago companies (The Gift, Shattered Globe, Theatre Wit and Timeline among others) with time, enthusiasm, and financial contributions. At the time of her death, Carol was working on a play about the first sexual harassment class action case in the US, Jenson v. Eveleth Mines, which changed American sexual harassment law. She is deeply missed by her husband of 46 years, Dan, and her daughter Claudia.